My research interests include systematics of Pterophoridae, especially larval hostplant associations, life history, morphology and taxonomy of larvae and pupae. Faunistic studies have concentrated on Pterophoridae of the Nearctic Region, especially in the southeastern United States, as well as Central America and the Caribbean Basin. 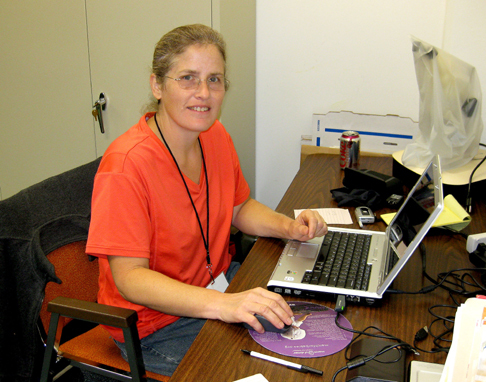 Current projects include an inventory of the Lepidoptera of Guantanamo Bay, Cuba, and biodiversity studies of the Lepidoptera of Honduras and the Bahamas. Ph.D., 2006. Entomology, University of Florida, Department of Entomology and Nematology. Dissertation: Matthews, D.L. 2006. Larvae and Pupae of Nearctic Pterophoridae: A Synopsis of Life Histories, Morphology, and Taxonomy (Lepidoptera: Pterophoroidea). PhD Thesis, University of Florida, Gainesville. 959 pp. M.S., 1989. Entomology, University of Florida, Department of Entomology and Nematology. Thesis: Matthews, D.L. 1989. 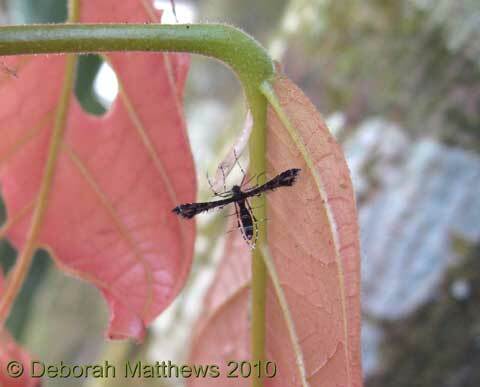 The Plume Moths of Florida (Lepidoptera: Pterophoridae). MS Thesis, University of Florida, Gainesville. 347 pp. B.A., 1986. Biology, New College of USF, Sarasota, Florida. Honors thesis: Matthews, D.L. 1986. An ecological analysis of an insect assemblage of Yucca in Florida with descriptive notes on the autecologies of selected taxa. Matthews, D.L., V.A. Brou, R. Tyler, and C.M. Allen. 2018. Plume moths (Lepidoptera: Pterophoridae) in Louisiana. Southern Lepidopterists' News 40(3): 197-203. Brown, J.W., D.L. Matthews, and J.Y. Miller. 2018. Two new species of Megalota from the Bahamas (Lepidoptera: Tortricidae: Olethreutinae). Zootaxa 4455 (3): 597-600. Miller, J.Y., D.L. Matthews, and A.D. Warren. 2018. A checkered history: distribution of Pyrgus Hübner species in The Bahamas, including the first Caribbean records of Pyrgus albescens Plötz (Lepidoptera: Hesperiidae). Insecta Mundi 0635: 1-9. Gilligan, T.M., D.L. Matthews, and J.Y. Miller. 2018. Two new species of Eucosmini from the Bahamas (Lepidoptera: Tortricidae). Zootaxa 4378(2): 265-268. Miller, J.Y., D.L. Matthews, M. Simon, and R.M. Rozycki. 2015. Review and comments on the current status of Choranthus richmondi L. Miller (Lepidoptera: Hesperiidae) in the Bahamas. Insecta Mundi 0414: 1-9. Matthews, D.L. and J.Y. Miller. 2015. ¡Trampas mas baratas! - Hampers in Honduras. Southern Lepidopterists' News 37(3): 112-113. Matthews, D. L. 2012 SLS participation at the Florida Museum of Natural History's Butterflyfest (13 - 14 October 2012). Southern Lepidopterists' News 34(4): 223. Matthews, D. L. and J. Y. Miller. 2012. Southern Lepidopterists at the International Lepidopterists' Conference in Denver, Colorado. Southern Lepidopterists' News 34(3): . Matthews, D. L. 2012. Reflections from your new chairman, Deborah Matthews. Southern Lepidopterists' News 34(1): 1-2, 47-48. Miller, J. Y., Matthews, D. L. and J. Brambila. 2011. Southern Lepidopterists at Butterflyfest 2010. Southern Lepidopterists' News 33(1): 28-30. Judd, R. E. and Matthews, D. L. 2010. Report on the capture of a gravid Samia cynthia female in Alachua County, Florida. Southern Lepidopterists' News 32(4): 182-184. Matthews, D. L. and Miller, J. Y. 2010. Remembering Dale H. Habeck, October 21, 1931 - May 17, 2010. Southern Lepidopterists' News 32(3): 141-142. Fontes, E., Frank, H., Gillmore, J., and D. Matthews Lott 2010. Dale H. Habeck, 1931-2010. Florida Entomologist 93(3): 478-479. Durden, L.A., J.T. Vargo, J.E. Hayden, J.R. Slotten, D.R. Tangren, and D.L. Matthews. 2017. A moth bioblitz inventory for Rock Hill Preserve and Apalachee Wildlife Management Area in northwestern Florida. Southern Lepidopterists' News 39(2): 242-247. Referee for Pterophoridae, North American Moth Photographers Group.